Online Tournament mode is one of the most exciting components in Tekken 7. 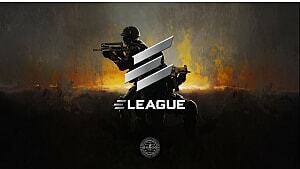 It allows players from around the world to take part in something really big and rewarding. If you win, you get to earn special prizes and gain confidence for the upcoming world tour. But how do you approach such a tournament? Which character do you choose? Amongst the wide array of fighters in Tekken 7, there are a few must-have choices that most fans are already familiar with. But with the introduction of 10 new characters, there is room for a couple of fresh choices, too. If you have a hard time deciding which character to play in your next tourney, or you’re trying to re-consider your initial choices, then check out these 11 top tier fighters readily available in Tekken 7. Steve is an unusual Tekken character that mainly utilizes simple boxing techniques -- with almost no kicks -- that turn out to be super effective against the current roster of fighters. Although he is still not very good against characters that spam lows, Steve can deal a lot of damage even if you don’t know how to combo right. The famous Hwoarang returns with a blast in Tekken 7. His main technique is Taekwondo, which allows him to execute crazy fast pokes that can finish the fight really quickly. Mastering Hwoarang as your main character isn’t easy, but it is definitely rewarding. 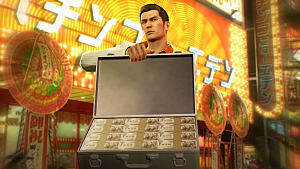 His Flamingo stance is probably the most unique in the entire series, as it activates in just one data frame, so you can input commands right away. 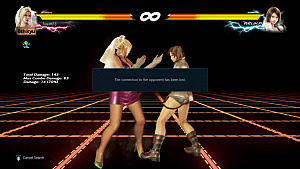 You can also block while staying in Flamingo, but then the stance will be canceled. You guessed it right -- this is the Bruce Lee of the Tekken series. Marshall uses a mixture of various martial arts, but his main style is derived from Jeet Kune Do, which means that just like Hwoarang, he is a fast poker. On the other hand, Law has a few slow but super damaging tricks under his sleeve. For example, his b+3+4 combo (back + left kick+ right kick) kicks really hard. 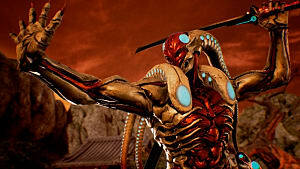 This iconic character is the only wrestler in Tekken 7, which automatically gives him advantage over any other characters due to his unconventional move set. He's actually so strong that some of his damage had to be nerfed, such as u/f+3 (up / forward + left kick). But his characteristic throws still remain some of his most powerful tricks -- either his generic throws (left kick + right kick; left punch + right punch) or command throws (left/down/right + right punch + right kick). 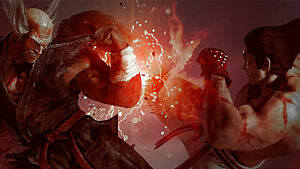 A furious kickboxer, Bryan is known for his oppressive, fast-paced kicks and punches. Your main strategy with Bryan should revolve around spamming b+2+1 (back + right punch + left punch). Just don’t leave your opponents time to react: quickly block any of their mids or lows. Most players will have no idea how to resist a strong bully like Bryan and will quickly give up. The only other character that could withstand Bryan is King, so keep that in mind. 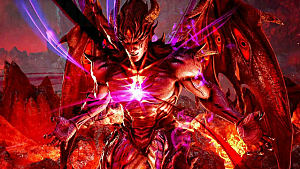 If you are well-familiar with the lore of the Tekken series, you will know that Kazuya won the very first King of Iron Fist Tournament, which should already make him the rightful choice for your own tournament run. 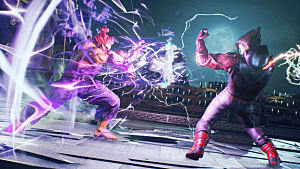 His main style is centered in Karate, but in fact, Kazuya can do so much more than that. His combos are very elaborate and require a lot of skill and practice. Probably the hardest thing to accomplish is to dash during combos, which is possible by forward dashing (f,F) and holding the F. After that, you can finish off any combo you like. Here’s a new character… well, at least for the Tekken series. Akuma is a well-known Ansatsuken specialist from Street Fighter, meaning that his combos are all designed to do one thing – finish the opponent at once. 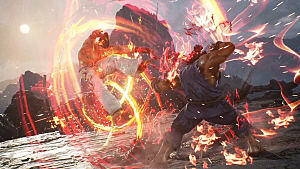 This method is beautifully expressed in his Rage Art (left punch + left punch + forward + left kick + right punch). 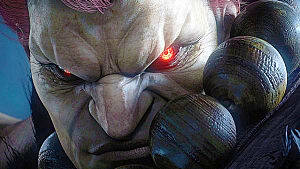 Akuma is definitely not your typical Tekken fighter, as his move set is very different from the rest of the more familiar Tekken characters. But it doesn’t make him weak at all -- on the contrary, he is actually very strong. Kazumi is a completely new character and brings her own peculiar blend of Karate styles to the game. It is important to mention that Kazumi might not have the strongest moves, but they are definitely the most beautiful ones. So if you’re looking to add an aesthetic component to your fights, then definitely choose Kazumi. She is also the perfect choice for beginners, because her move set is quite limited. But in the right hands, she can go really far! Heihachi, the central character of the Tekken series, had to be listed here. After so many iterations in the series, Bandai Namco does a great job of pushing Heihachi to the limit by introducing new, amazing moves. One of them is the infamous d+2+3 (down + right punch + left kick) that can insta-kill an opponent from a distance -- if their life total is low enough. It is incredible how Heihachi can still be relevant and so well-balanced even after so many years. If you enjoy the classic Tekken fighting style, or you are generally a nostalgic player, then this would be your choice for the tourney. Nina, a fan favorite, is just as good in Tekken 7 as she ever was. Her fighting style is an amalgamation of two of the weirdest martial arts -- Hapkido and Koppo. It makes her both extremely fast and extremely dangerous, so watch out opponents. Dragunov, a Russian special operative, was first introduced in Tekken 5. He uses a modified offensive style of the Sambo martial art called “Commando Sambo.” His combos mainly consist of long strings of short pokes that create an unbreakable wall (e.g. df+2, f+4,4,3, f+1, f+3, f+1, f,F+2, B, f+3, cd+1+2). So, if you're looking for some serious competition, then consider Steve, Hwoarang, or Marshall. If you want to learn the game with the best character, then take into account Kazumi, Heihachi, or Nina. And if your goal is to suprise your opponents with unusual fighting styles, then opt for Bryan, King, or Dragunov. With all these choices, you're bound to find a fighter that will take you to the top of ranks -- and win the King of Iron Fist Tournament. 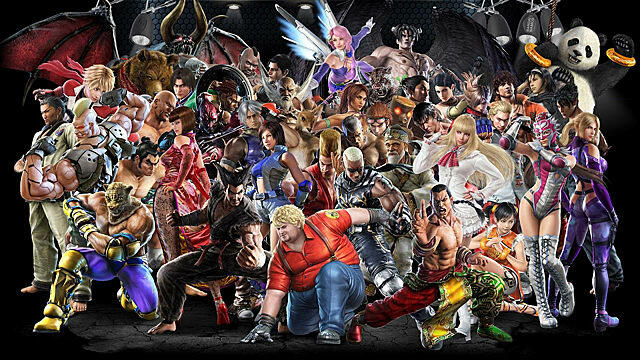 What other great Tekken 7 characters would you choose to use during an online tournament? Share your thoughts in the comments section.